Find a Florida fall festival to attend in 2019. Our events calendar for September, October and November 2019 has things to do across Florida including activities in Orlando, Miami, Fort Lauderdale, Jacksonville, and Tampa. Our list includes festivals celebrating the local harvest, food, music, beer, Oktoberfest and more. Palm Bay Regional Park 1951 Malabar Road just 6 miles west of I-95 & Exit 173! The Out West Party Zone! Sat 11am to 11pm, Sun 11am to 6pm. It’s an Oktoberfest & a Music Festival Combined! BIG kids zone, BEER, FOOD, Live on stage music, vendors, fireworks, camping and more! More than 100 activities and programs with birding, wildflower and nature experts. It offers visitors the opportunity to stroll the palm tree lined streets of Delray while enjoying a great glass of wine or a plate of delectable seafood. Come check out the Sebring Oktoberfest! October 1, 2016 10am-10 pm, free admission ! Downtown Sebring, Beer gardens, wiener dog races, live music, brewfest, firefighter challenges…check us out! Enjoy alternative rock, reggae, surf and ska on the banks of the Hillsborough river. Sarasota Pumpkin Festival is an annual fundraiser for The Lazarus Foundation, Kids Force. There will be a lot to do, with over 100 free live shows, pumpkin maze and patch, hay rides, trick or treating and family fun kids zone with amusement rides and carnival games. The Tallahassee Sunrise Rotary presents the 10th annual beer festival at the Tallahassee Automobile Museum. Enjoy demonstrations and tastings of food and beverages from top chefs as Disney World celebrates global cuisine. A celebration of Latin culture through music and dance held at the Grand Hyatt of Tampa Bay. A country music festival headlined by Brad Paisley, Jake Owen and Eric Church. The theme is GeckoCon. Come on down for two stages of live music, hundreds of vendors serving up food, arts and crafts, lots of kids activities, and street performances of all kinds. Parking is free! Try tasting more than 200 beers in one long weekend at a variety of beer-themed events created by the Southernmost Beach Resort team. A three-day community celebration of the end of summer. A street party in the Seville Quarter. The largest gourmet spicy food show in Florida. Sample and purchase hundreds of spicy foods from around Florida. A carefully curated selection of movies to help further the cause of peace on earth. Multiple venues across Orlando, check out the Venues tab of the event’s website for Venues and Parking. An intimate, three day food and jazz event in Central Florida. Quilting demonstrations, special displays and more. Give peace a dance on the two decade journey for self-fulfilling bliss. Join people around the world on UN’s International Day of Peace as the world comes together in a single moment of focused intention. There will also be workshops for everyone, including art, music, energy, and more. Only German restaurant in Jacksonville. . We have a 40Ã—50 foot tent in our parking lot with a live band Friday and Saturday and Munich style tables. We also have 160 seats between our indoor seating and outdoor GSH BierGarten overlooking the tent. Also band Saturday the rest of October on the outdoor BierGarten. Race or enjoy watching teams of 16-20 row large canoes. A four day carnival that acts as a fundraiser for St. Peter Catholic Church. They have food, drinks, rides, bingo and products for sale. An 8 day German festival with beer, food, live music, yodel contest, nailing contest, brat eating contest and cycle party. Admission is free. Event starts at 11:00 am every day. Do not miss the fraternity style drinking activities like beer pong, flip cup, and more. Foods include giant bier pretzl, German potato salad, Apfelstrudel, Wurstteller sausage, and German chocolate cake. 10th Annual event. Last year over 180,000 people filled the beaches and shores of the 2.5 mile race course, including those on over 2500 boats, as they watched super boats race each other over the three-day festival. Annual event. German food, music, beer and other activities. Admission is free. Features include a German Band, and the High Steppers. There are also children’s rides and clowns at this family oriented event. Hosted by the Mid-Bay Bridge Rotary Club. September 29, October 13 & 27, 2018. 3 great Oktoberfests with the Bavarian Schuhplattlers, live music, authentic German food and beer. Door donation of $7. Kids under 12 are free. A three day weekend of cycling. Cycle over pristine beaches, over marshlands and maritime forests for up to 100 miles while raising money for juvenile diabetes research and awareness. Amelia Island is also home to dozens of artisanal shops, restaurants and a charming historical district. A music festival for blues lovers that includes nationally known and emerging artists. 40th Annual. A free event on the Destin Harbor Boardwalk with three stages of live music and fresh seafood by food vendors and local restaurants. The City of Oakland Park invites you to celebrate its annual Oktoberfest! Enjoy authentic German food and beer, traditional entertainment including music, dancing, amusement rides and games. Two days of Oompha Fun!!! Featuring Oktoberfest bands. And the unforgettable Dachshund races, along with beer barrel races, carnival rides, stein races and the Schuhplattler dancers! Jaco Pastorius Park 4000 North Dixie Highway in downtown Oakland Park. Oktoberfest! Free parking is available. To learn more, visit oaklandparkfl.gov or call 954-630-4502. Free festival for the whole family over Columbus Day Weekend. Events include a scavenger hunt, pirate invasion, parades, live music and more. The German American Club of the Treasure Coast hosts this outdoor event with craft show, food vendors, entertainment and kids activities. Admission is Free. Opening ceremony and parade of flags on both Friday evening and Saturday. GIPAâ€™s 25+Annual Oktoberfest is family-friendly Oktoberfest and features carnival rides, game booths with prizes, German food and drink, delicious baked goods, entertainment, activities for kids, and more. Admission and parking are free. Tickets for rides/games/food are $1.00 per ticket. A family festival that shares the Caribbean culture, promotes cultural exchange and builds economic cooperation in the multi-ethnic and multi-cultural environment of South Florida. A week long event with world class jazz that kicks off with a free concert. Dozens of rides for all ages, games, music, $3,000 raffle, flea market and more, with free admission and free parking. Free family event from 5-10 pm on Friday and Saturday night. Beer garden for adults and root beer garden for kids. Games, contests, German music and alpine dancing. Keg tapping on Friday. Over 20 games including Oktoberfest Olympiad, keg toss, stein holding, carry the wench and corn hole. German beer, food and live music (including lots of polka). Admission is $10 for one day or $25 for the weekend with a VIP pass available and free general admission to Armed Forces members with ID. Friday night. Festival opens for VIP at 5:30 PM  Beer and Food Samplings until 6:30, when Festival opens for General Admission. Also, Games of Oktoberfest and Beer Trivia competition. Saturady. VIP at 11:30, General Admission starts at 12:30 pm. Live music, games and more! Sample and savor more than 200 domestic and international craft beers. Weekends only.Hosted by the German American Social Club of Miami. It was started in 1958. German food and beer, dancing, free carnival rides and entertainment. Cost is $10 for adults and $5 for ages 6-20 years old. Miami Dade employees receive free admission on Sundays with Miami Dade identification. Active military and veterans are free. The Annual fundraiser of Angels for Allison, a charity that helps families who have lost a child, is an outdoor music and arts festival. The largest beer festival in South Florida, with over 500 local craft beers up for sampling, live music, games, and more! A diverse lineup of musical styles including smooth jazz, swing and more enjoyed over four days and nights. A weekend of live music, motorcycle racing and other festival events for the bike enthusiast. Pensacola’s longest running fair started in 1935 and now includes more than 60 rides, entertainers, exhibits and plenty of food to enjoy. An annual 10 day party in paradise for grownups that has been described as the wildest extravaganza around! Three days of musical entertainment and tasty mullet. Hayrides, pumpkin painting, or stroll along the lakeside promenade. Leaves fall each day at 7, 8 and 9 p.m. Entertainment starts at 5:30. Parking and admission are free. The Upper Tampa Bay Chamber Oktoberfest located at Tampa Bay Downs. German food, beer, arts and crafts, carnival, and contests including keg toss, stein holding and barrel rolling. Live music and dancing. Join 20,000 visitors to this long running tradition. Admission is $5. Kids and Military ID get in for free. Annual Florida Oktoberfest held over the weekends hosted by the German-American Social Club of Cape Coral. Huge tent and outdoor biergarten with 3 stages and 2 dance floors enjoyment of non-stop live bands. German food and beer including sausage platters, bratwurst, schweinhaxen, potato pancakes and other items. Carnival area for kids has rides and games. There are also hand made crafts for purchase from the vendors and exhibitors. 5K run. Miss Oktoberfest pageant is held in July for ages 21 to 45. Tickets are priced at $5-6 with free parking. Children under 12 receive free admission. Annual arts, crafts, and music event held at the Orange Park Town Hall grounds. It started in 1982 and has grown from 12 craft booths and some guitar players to include over 200 artists & vendors, two stages, kids area, and food. Hundreds of kites will take the skies at Haulover Park, with demonstrations, competitions, bounce houses, face painters, DJs, games, and more. Enjoy food, live entertainment, artists & vendors, kids activities, and more. Since 1982. Oktoberfest community party with market and beer garden. Free admission to this annual event featuring carnival food and a food court, bingo & 50/50, nightly music and entertainment, beer garden, amusements with unlimited wristbands available. The #1 festival in Pinellas County and one of the largest seafood festivals in the US, featuring samples from a Chef Showdown and live music, arts & crafts on Thursday, Flavors of the Gulf (a ticketed event) on Thursday. Opens at 10am Friday through Sunday. An independent, underground music festival held annually in Gainesville and approaching its 20th year. There is a Pre-Fest in Ybor City the two days before the festival starts in Gainsville. A weekend of food and fun with activities both on land and in and around the water, starring the stone crab. Free admission! This film festival supports independent filmmakers in the international horror genre. A three day music festival with entertainment, carnival rides and vendors. A fall arts and crafts festival under the oak trees of this quiet town for more than 40 years. Carnival with rides, live music, food, a business expo, pumpkin patch, petting zoo, arts and crafts, pageant, and pet adoptions. Admission is free (rides not included). Hosted by the Greater Wesley Chapel Chamber of Commerce. 10th annual event with food, live entertainment, arts & crafts, children’s area, car show and cruise, booths and more! 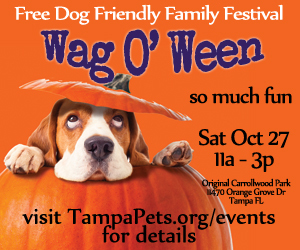 A family and dog friendly vegetarian festival with free admission for those interested in vegetarian and vegan cuisine. Live music, family fun and fresh from the Gulf stone crabs are the hallmarks of this Florida festival. Over 100,000 attend this three day event in downtown Pensacola. Named one of the Top 20 Festivals by the Southeast Tourism Society. Songwriters of all levels perform original songs in Perdido Key and Pensacola, Florida, and Orange Beach and Gulf Shores, Alabama. This year’s theme – Garden of Wonders. An annual festival of incredible chalk drawings around Venice, FL. This three and a half day festival during Native American Heritage Month honors the culture of the indigenous peoples of the Americas through music, and especially the music of the Native American Flute. The event invigorates Florida’s surf culture through film appreciation and artistic expression by exhibiting contemporary films from filmmakers far and wide. A three day charity fundraiser with national touring bands and some of the Best BBQ ribs in the world. A Veterans’ Day weekend tradition at Tradition Square, where attendees can sample more than 300 beers from 50+ breweries, plus wine, food trucks, live music, games for all. If you aren’t sampling beer and wine, admission is free! Proceeds benefit organizations helping veterans and their families, Operation 300, as well as other local causes. Five days of jazz music and more! This Treasure Coast event, a favorite for over 30 years, recently returned! Revamped and offering free admission, festivalgoers can enjoy local artists and musicians, plus learn about the area’s history, eat pineapple themed food, beverages and try their hand at pineapple themed contests! Voted Best Florida Outdoor Fine Arts Festival by Florida Living. Fun for the whole family including arts & crafts, bounce houses, food, car show, pony rides, contests, live entertainment, petting zoo, model train village, face painting, and more! Pirates invade Cedar Key once again with crazy cannons, machetes, and epic battle reenactments. Now in its 37th year! More than 100,000 will descend upon the streets of historic downtown Gainesville from City Hall to the Hippodrome State Theatre for a celebration of art and creativity complete with several stages of live music and the performing arts and a spectacular array of food. Kids will love the Imagination Station, a free hands-on area where they can enjoy sidewalk chalk, painting, clay, puppet and mask creation, and more! Downtown Gainesville will be filled with art and other creativity from City Hall to the Hippodrome, with over 100,000 attendees enjoying live music, performing arts, food, and over 240 local and national artists. 5th annual event. Admission is free. Lots of local seafood to enjoy, plenty of music, kids activities and water fun – everything from kayak rides to fishing. All at Rockefeller Gardens along the banks of the Halifax River.